Reported to help with seizures, inflammation, and anxiety. 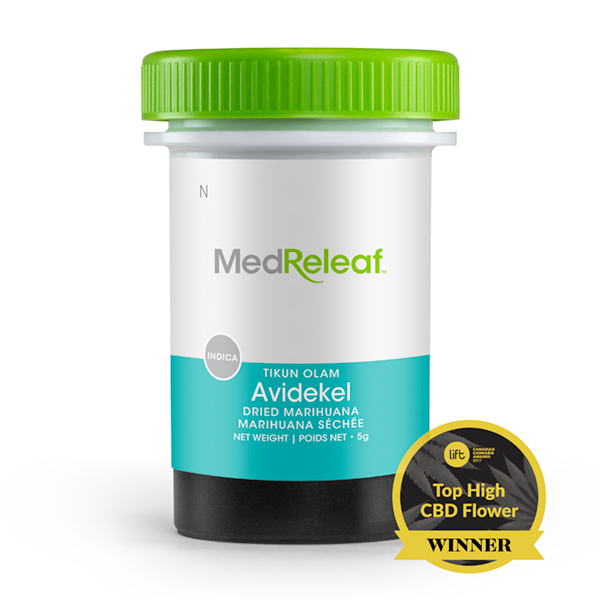 MedReleaf represents the medical grade standard of excellence in both service and quality. As a licensed medical cannabis producer and distributor, we are dedicated to supplying the finest quality products for Canadians. Will you order this strain again? CanvasRx is Canada’s trusted resource and marketplace that enables you to develop a better understanding of medical cannabis, its uses and the strains and licensed producers available in Canada. Don't have a medical document? Fill out the form below to send a message to our support staff. They are a smart bunch and will help you with your questions regarding medical cannabis. Thank you for your message. We'll be contacting you shortly. Sorry, you must be of legal age to enter.